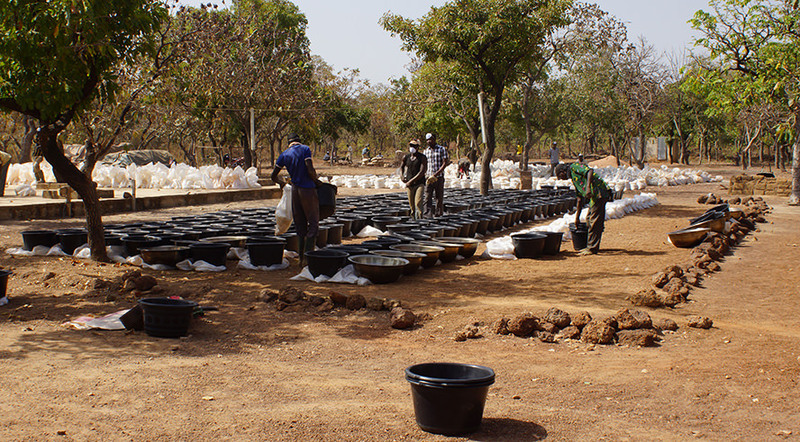 Developing Burkina Faso’s next gold district. 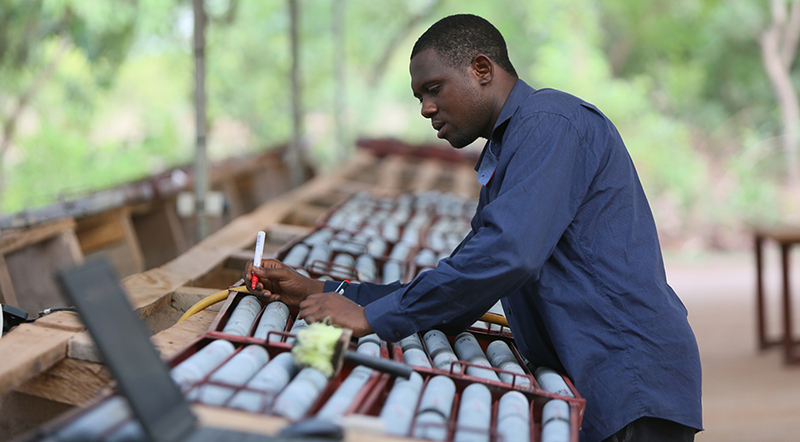 Located approximately 350km southwest of Ouagadougou, Sarama’s 100% owned(1) South Houndé Project is situated in the prolific Houndé Belt, which is home to three operating mines including Semafo’s Mana Gold Mine, Roxgold’s Yaramoko Gold Mine and Endeavour Mining’s Houndé Gold Mine. 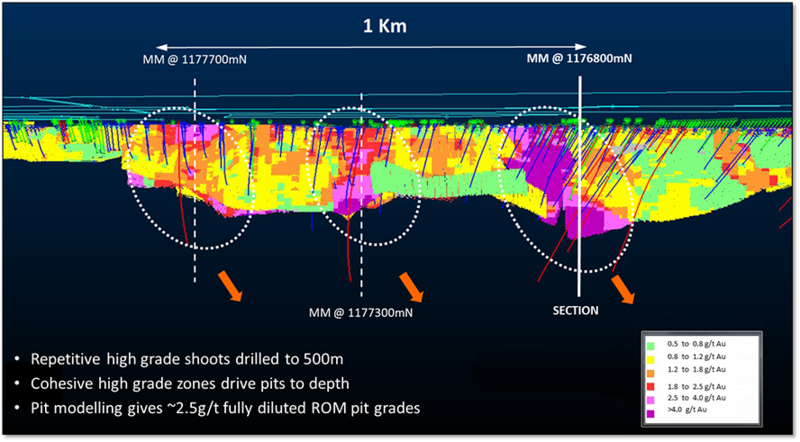 The belt is highly prospective and remains relatively underexplored, demonstrated by recent exciting discoveries at Teranga Gold’s Golden Hill Project and Endeavour Mining’s Kari Pump Deposit. 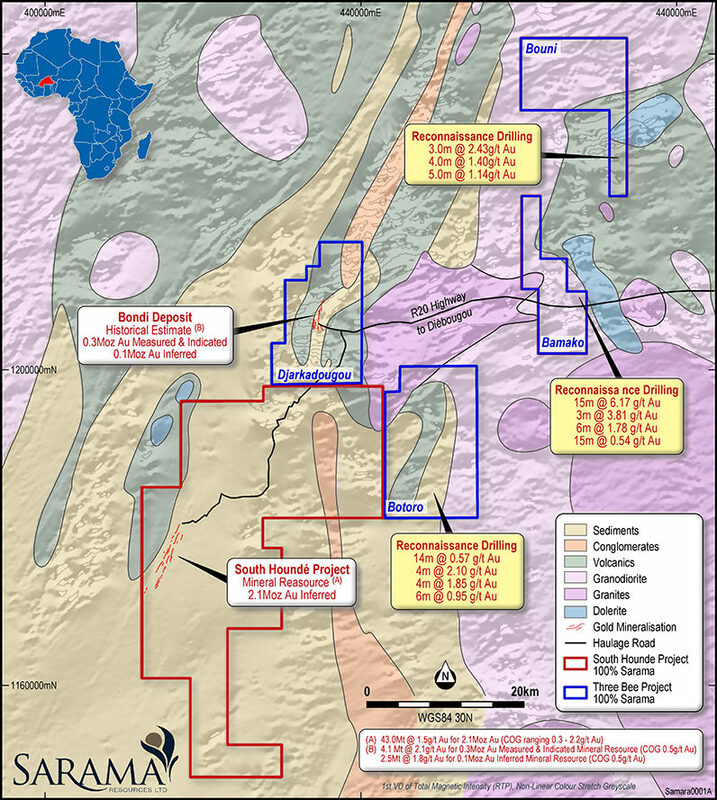 The South Houndé Project has an Inferred Mineral Resource of 2.1 Moz(2) at 1.5 g/t (43 Mt at 1.5 g/t Au at a 0.3-2.2 g/t cut-off) and contains a high-grade component of 1.5 Moz Au at 2.1 g/t (at a 1.2 g/t cut-off). 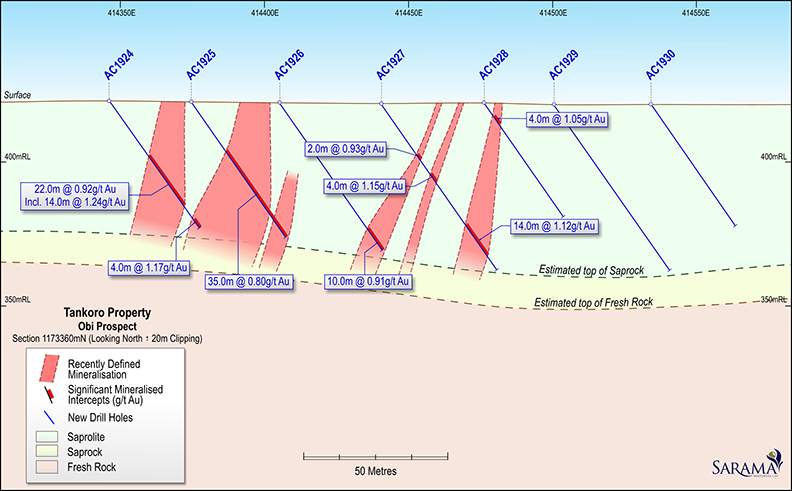 The mineral resource includes 0.6 Moz Au of oxide and transition material and oxide heap leach investigations achieved 87% gold recovery in column leach test work. The South Houndé Project and the company’s ThreeBee Project together provide visibility to the development of a simple, low capital and low operating cost heap leach mine that has the potential for a short payback period and a very high return on capital. 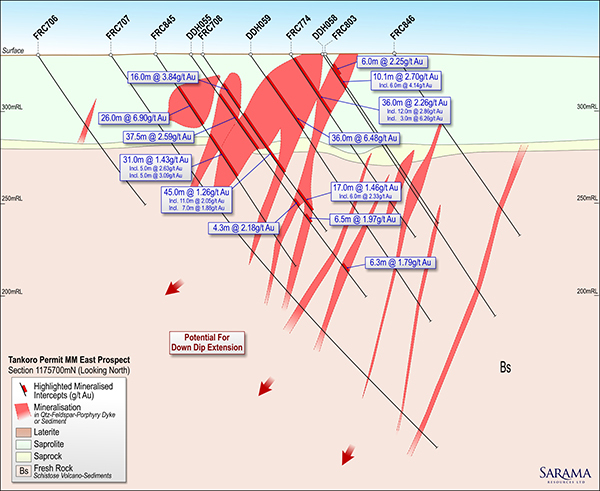 Sarama is framing potential development scenarios in parallel with regional exploration targeting oxide and free milling material as well as infill drilling. 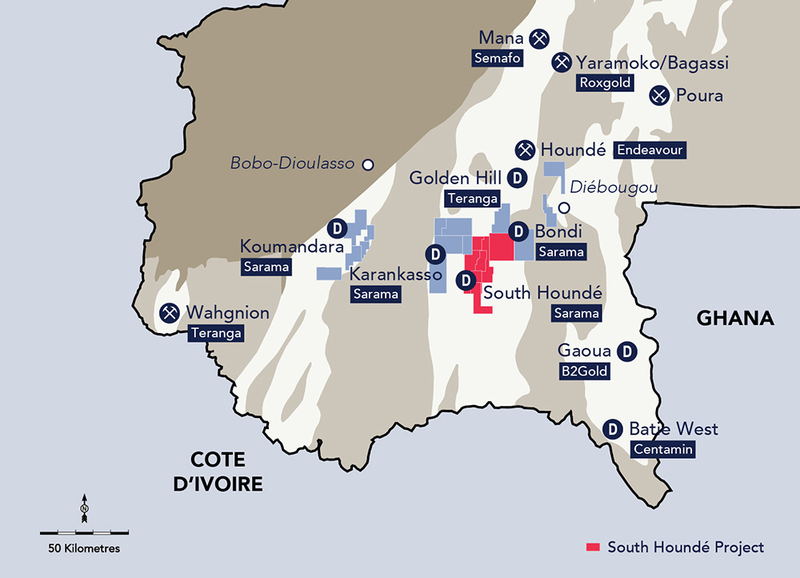 (1) Sarama will have a 100% interest in the Houndé Project upon finalisation of definitive agreements in respect of the transaction announced by news release on 27th November 2018. 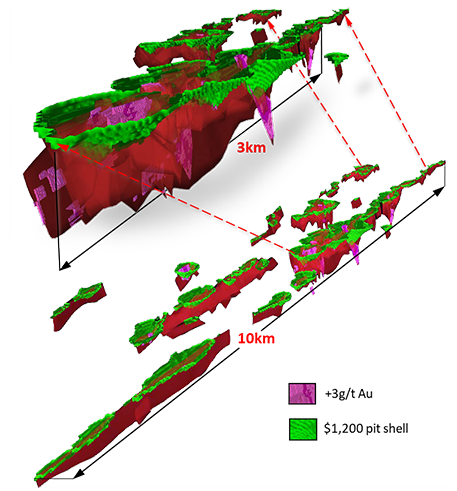 (2) South Houndé Project – 43.0Mt @ 1.5g/t Au (reported above cut-off grades ranging 0.3-2.2g/t Au, reflecting the mining methods and processing flowsheets assumed to assess the likelihood of the inferred mineral resources having reasonable prospects for eventual economic extraction). 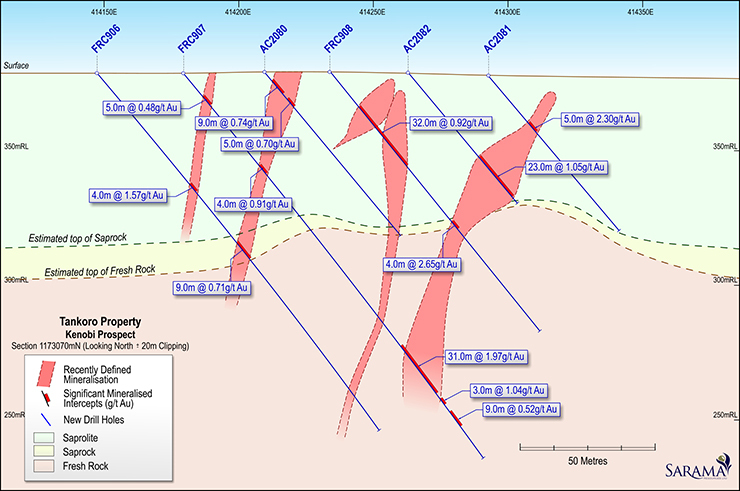 This mineral resource contains an oxide and transition component of 16.0Mt @ 1.2g/t Au for 611koz Au (reported at a cut-off grade of 0.3g/t Au for oxide and 0.8g/t Au for transition material). The effective date of the Company’s inferred mineral resource estimate is February 4, 2016. 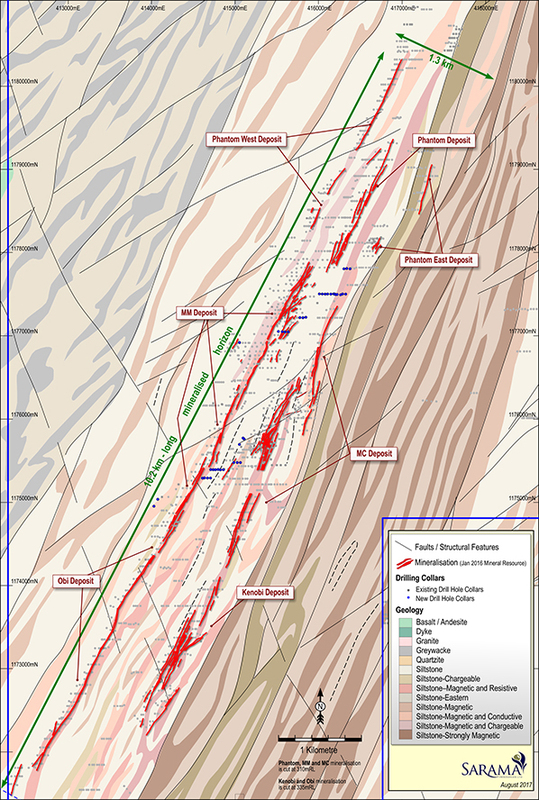 For further information regarding the mineral resource estimate please refer to the technical report titled “NI 43-101 Independent Technical Report South Houndé Project Update, Bougouriba and Ioba Provinces, Burkina Faso”, dated March 31, 2016 and prepared by Adrian Shepherd. Adrian Shepherd is an employee of Cube Consulting Pty Ltd and is considered to be independent of Sarama. 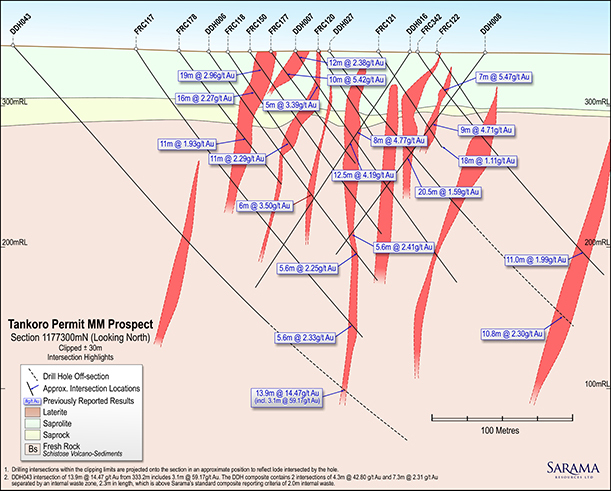 The technical report is available under Sarama’s profile on SEDAR at www.sedar.com.